Many times over the years I have been asked about how to encourage kids to read. 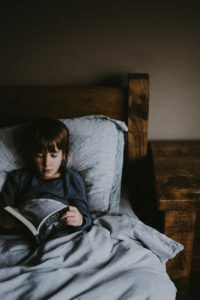 This becomes especially vital with boys –studies have shown that if they stop reading for fun around the age of 12 they don’t tend to start again. I hate generalizations but the more kids enjoy reading the better they do in school and life. With a book in hand you are never alone. Let them read anything they want to. Really anything! Within reason by which I mean you can limit the sexual content and even the amount of violence. When you do that though consider what is appropriate for your child. Kids are aware of violence. Kids throughout history started fighting in wars at 12,13,14. One of my ancestors was a drummer boy at 12 in the Civil War. 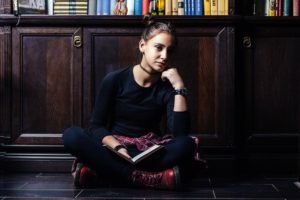 Sexual content gets tough— our girls were reading way above grade level very early and it was tough to find books that didn’t head into sexual content. If you can look you can find them —some historicals for YA audiences are a bit less overt and classics too. When our oldest was in 6th grade the whole world seemed to be reading Twilight. I read it and found it to be incredibly passionate in the way of first love and I didn’t let her read it for another year or more. I also searched through Amazon UK for books. The English tend to write for a higher ability reader without heading into sexual situations. Harry Potter was incredibly popular in our house as were Gail Carson Levine’s Fairy books and her retelling of fairy tales. The most important thing is to let them read what interests them. In the bathtub with the bath books, every night before bed or in the afternoon when you aren’t quite as tired. 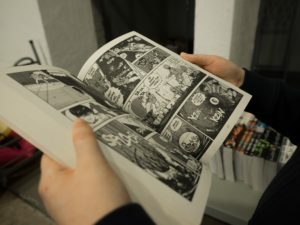 Comic Books and Graphic Novels are also Reading! Boys seem to (not all mind you but a large amount) like true stories, biographies, non-fiction about all sorts of thing. Some girls do too. My youngest who is 16 loves to read non-fiction. Crafting books, how to books and cookbooks have also been popular in our house. Our oldest went through a time reading psychology and our youngest is now reading true crime. It is all reading. Once they hit middle or high school they end up reading so much for school that they don’t read as much for fun. That is ok too. My youngest relaxes with fanfic. She is reading and she is able to discern the difference between well written and poorly written fanfic. So head to the bookstore with your kids. Head to the library with your kids. Let them see you read and read to them too. 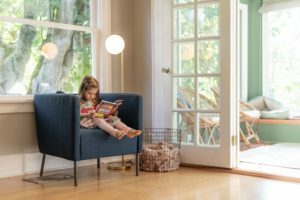 For our girls we read to them for a long time but also they loved listening to audio books which is something I began in the car with our oldest when she was 2. Introduce the idea that reading is magic –you can go anywhere in a book! If you find your kid doesn’t enjoy it, ask them why. They may not have found the book yet in which case a trip to the library or bookstore with a free hour to roam might be the ticket. Or they might have a learning issue or be struggling learning in which case ask for help with that. 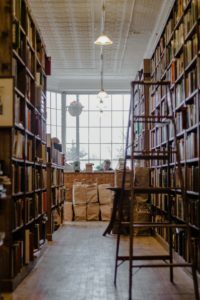 My brother and I grew up in bookstores. Dad’s average autographing was about 4 hours sometimes we were there the whole time and sometimes just an hour or two. 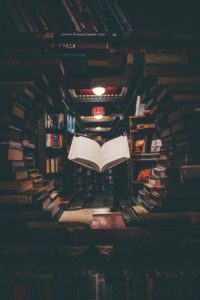 I would never have found some of my favorite books without that time to wander, read first pages and back covers and genuinely explore books. Excellent. 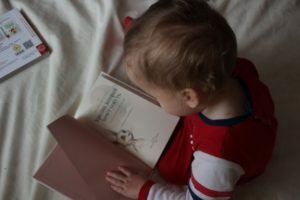 Both of my sons started reading early and it was because they had books readily available that peaked their interest. My oldest picked up my copy of Sagan’s DRAGON’S OF EDEN at age 5, read it and was able to explain it to me…and he’s not the geek. That would be my youngest, who loved STAR TREK The Next Generation, and SciFI in general, as did I, so there was plenty of reading material available. In addition, his mother devoured medical books and he took to psychology pre-teen before pursuing in in college. Sometimes all the encouragement kids need is to have an abundance of material available and an encouraged curiosity. Just FYI, my oldest as a teen and through college played Dungeons and Dragons and did a lot of the plot writing for the group of players. I encouraged him to read a few of your Dad’s novels in that time frame, and he used a few of Louis’ plot lines in the games he played…adjusting them to time-frame, geography and other stuff in the game that I am not familiar with. Thank you for adding this comment–Sorry it took me time to approve but we were evacuated for the fire in Southern California! 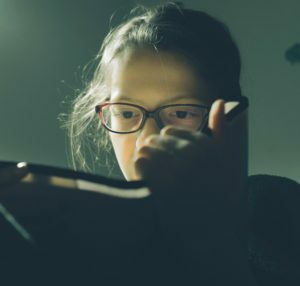 I love reading about what other people are reading–especially kids! I have to look at Dragon’s I haven’t read Sagan yet. Beau was the sci fi guy–I was into mysteries. My kids read early and advanced as Beau and I did. I think as soon as you can let your kids pick books you should. We grew up in bookstores and I love going to them and just prowling shelves. Dad did a lot of autographing tours and we were usually there for part if not all of them. That is a lot of time on your own in a bookstore as a kid!